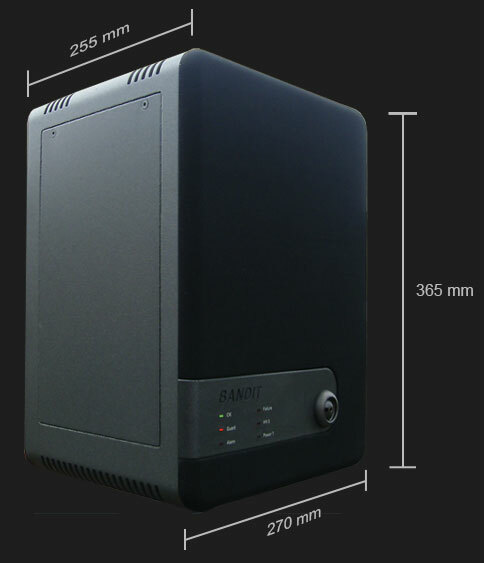 The FOG BANDIT is the perfect solution to prevent loss of goods and assets resulting from burglaries, because “what can’t be seen can’t be stolen!” Many major high street retailers and business owners in general can already testify to the benefits provided as a result of installing a FOG BANDIT. Choice of fog ejection nozzles available – normal nozzle (propels fog 6 metres in first 2 seconds in a 60o spread cone shape) or narrow nozzle (propels fog 10 metres in first 2 seconds in a narrow cone shape). Refer to Technical Specification Sheet for more information.